Opened on June 30th, 1894, London's Tower Bridge is one of the world's most recognisable crossings. Yet the distinctive blue bascules and Gothic adornments weren't the only design proposed for the site. 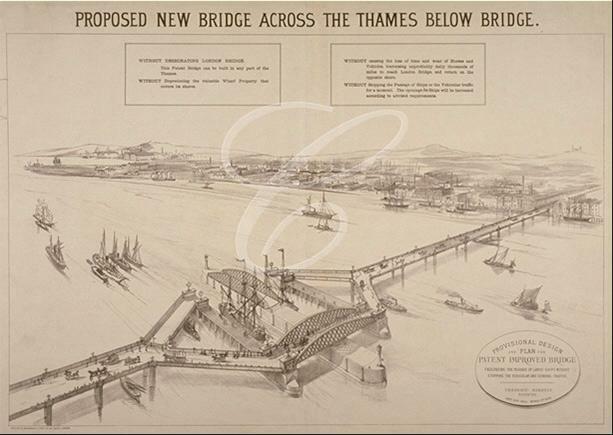 The bridge was subject to an open competition, which resulted in many entries (including one for a tunnel) before the winning submission by Horace Jones was selected. This design is closely similar to the current structure, but the bascules are housed within a circular structure. 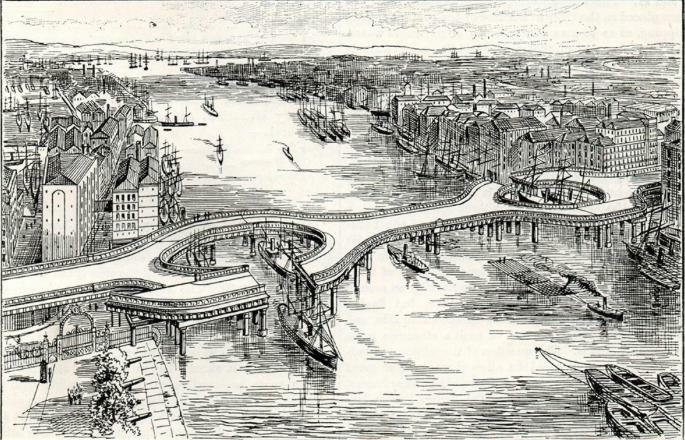 This design featured movable platforms at either end of the bridge with a roadway in place at all times, allowing traffic to pass unhindered. 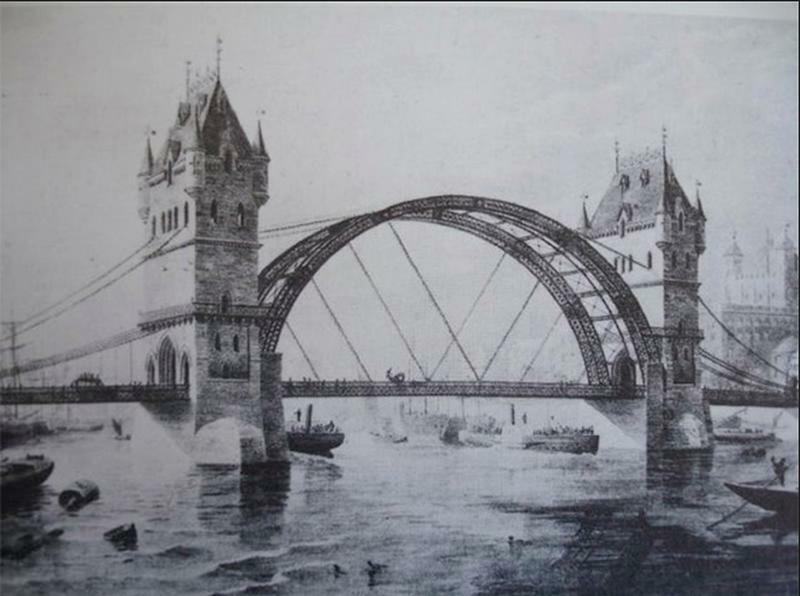 One of his several proposed designs. 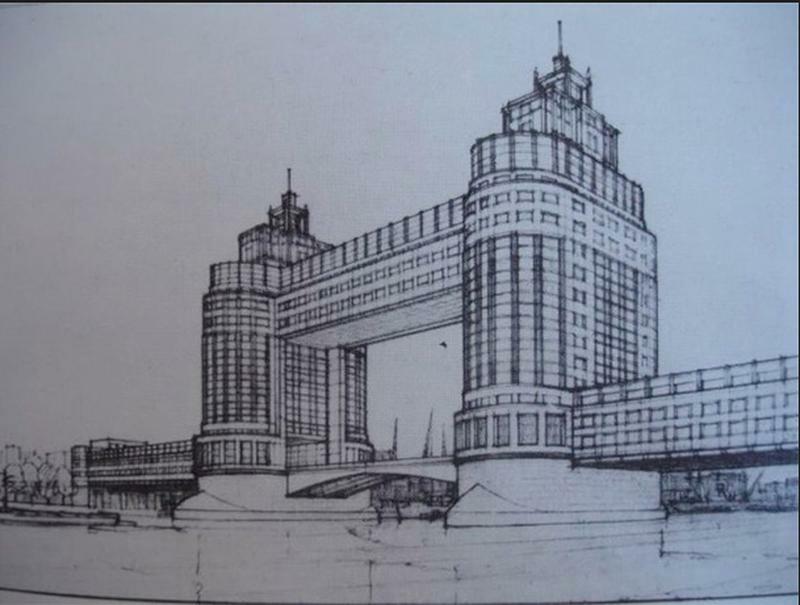 A "duplex" low-level tower bridge which would have allowed uninterrupted continuity of vehicular and general traffic.